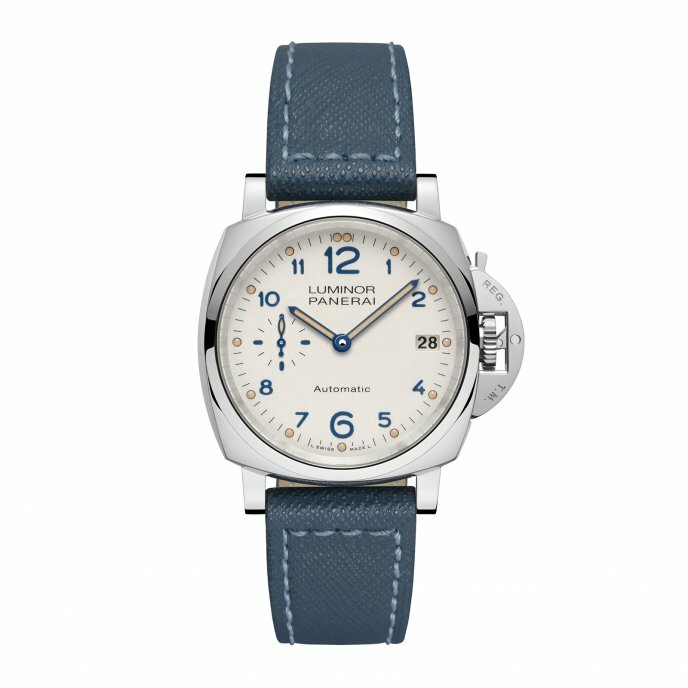 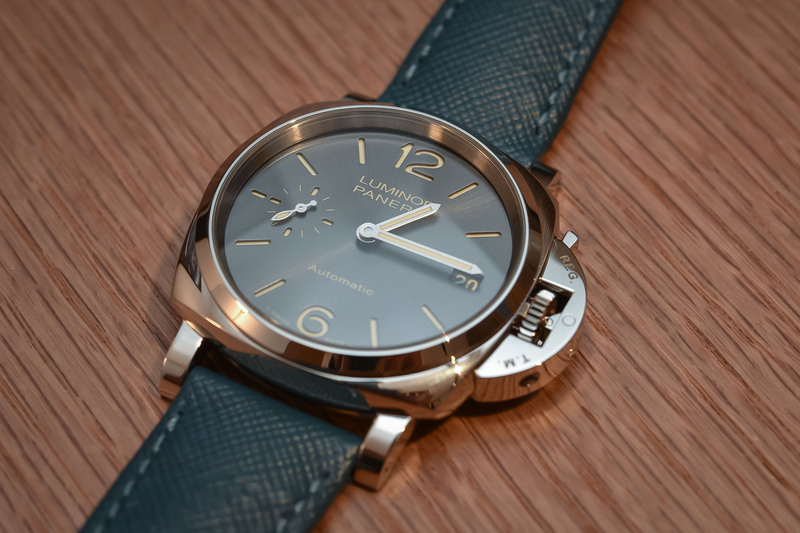 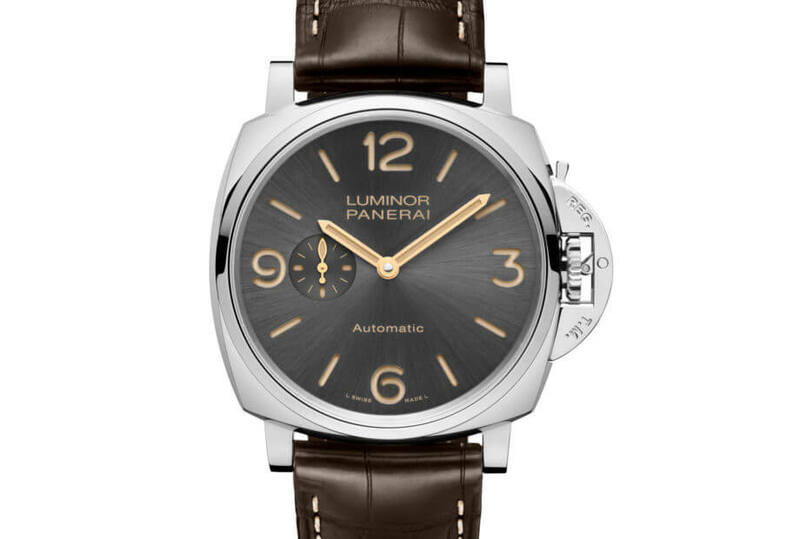 The Luminor Due 3 Days Automatic Acciaio is one of the first models of the new Luminor Due collection from Panerai. 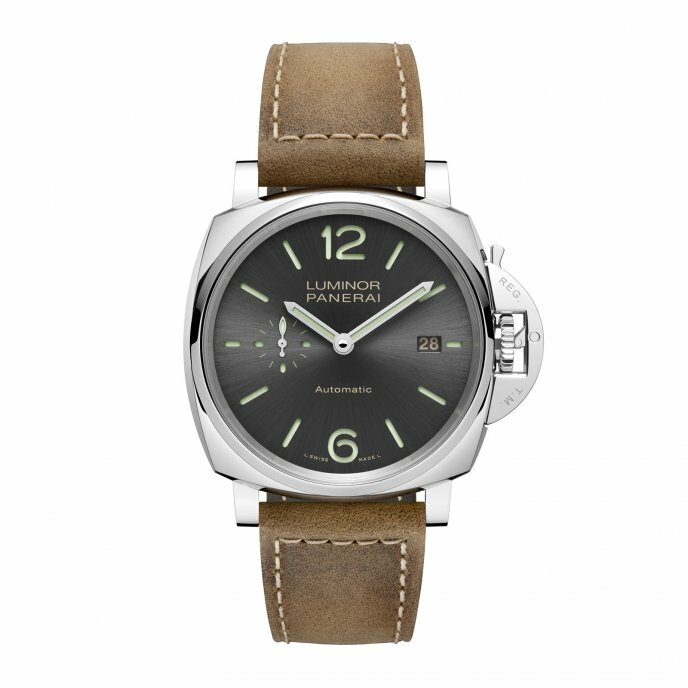 The automatic design of the automatic line within the Luminor Due for Panerai watches is made possible by the modern automatic caliber P.4000 with microrotor hoist, which is switched on in a newly designed housing. 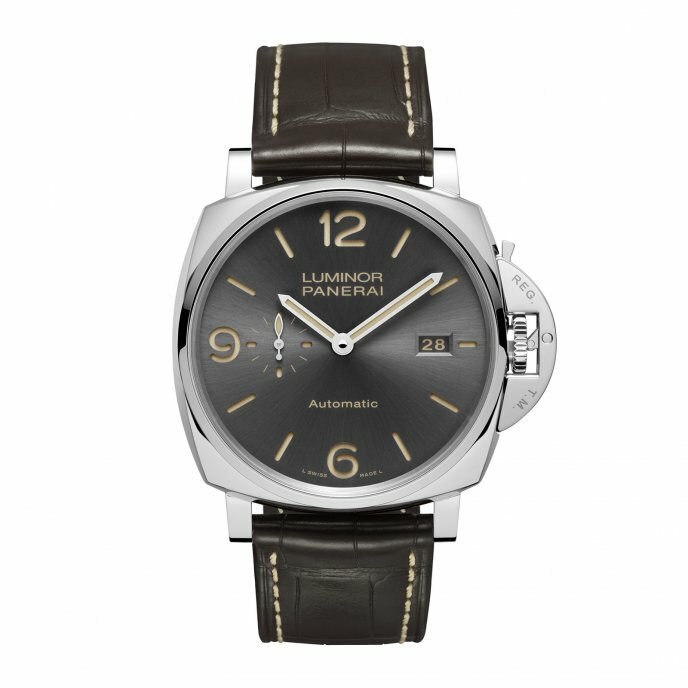 The movement, which is only 3.95 millimeters high, dates from the year 2014 and has already been used in Radiomir models. 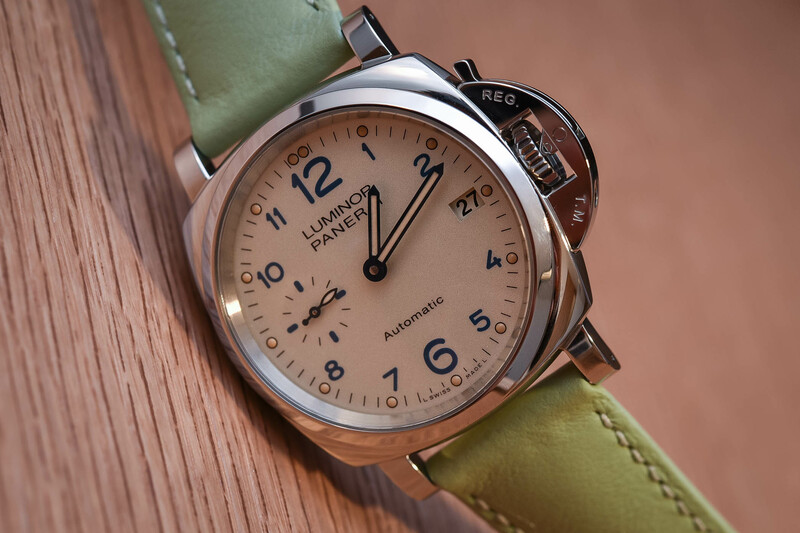 Its tungsten-based micro-motor pulls in both directions and builds up in two superimposed spring housings three days of gait. 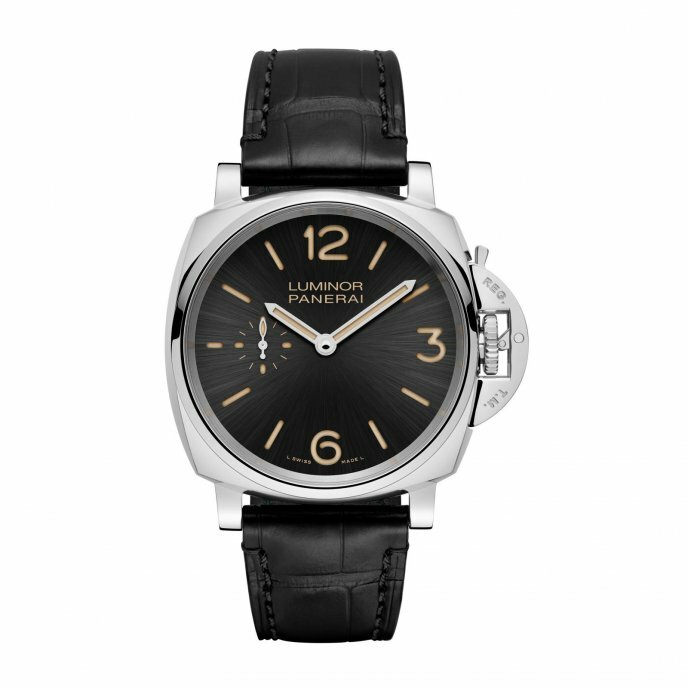 The balance oscillates with four hertz under a stable bridge. 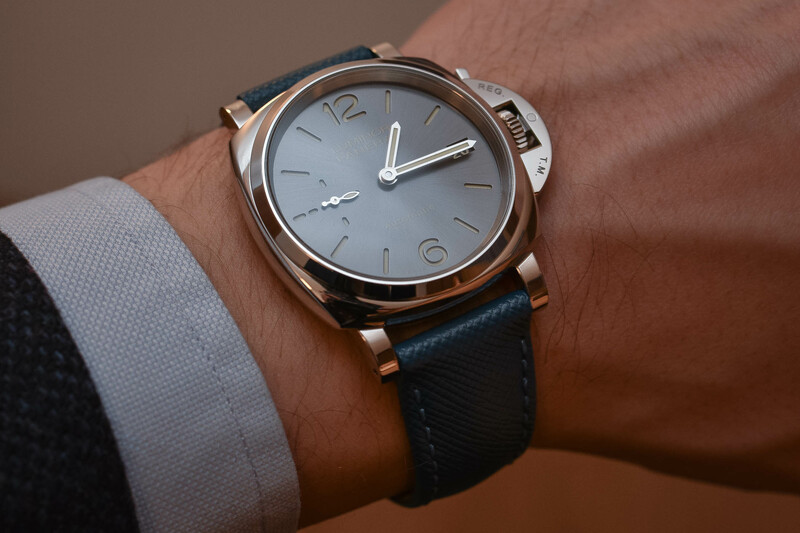 The fully polished pillow-shaped housing measures 45 millimeters in diameter, about 51 millimeters in diagonal, and 10.8 millimeters in height. 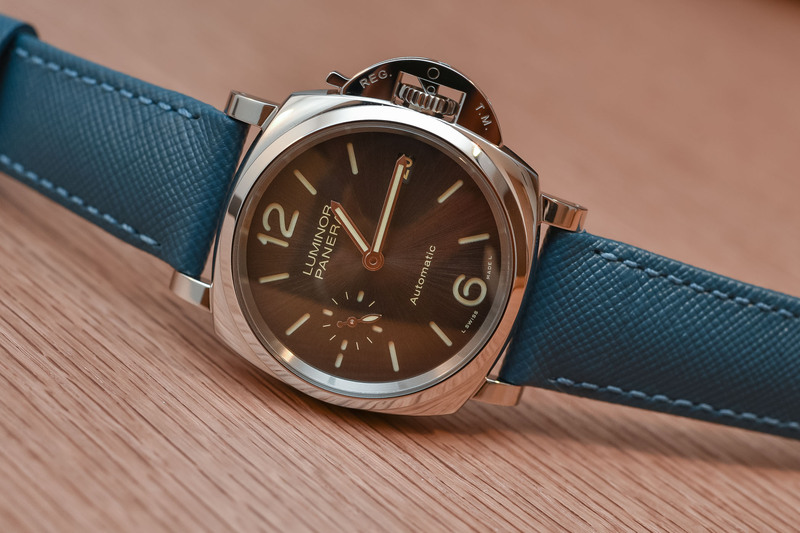 The typical Panerai dial in sandwich construction is easy to read at any time of the day or at night. 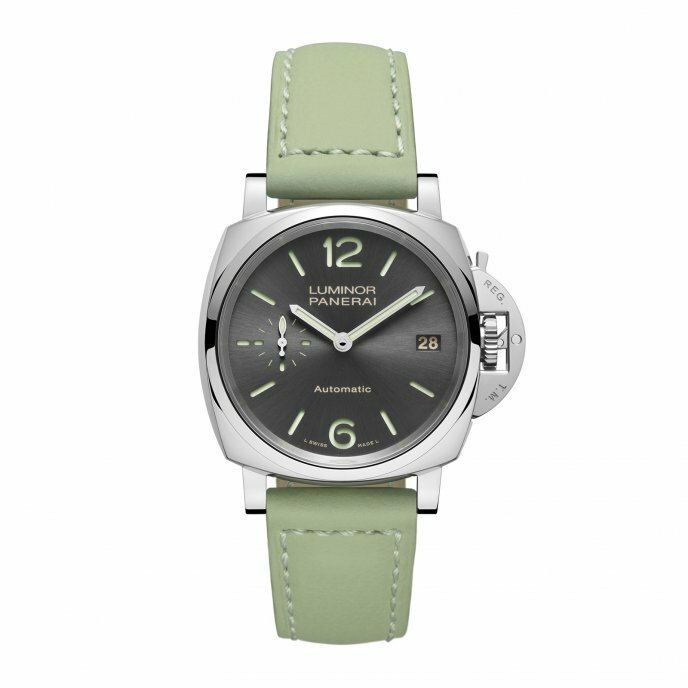 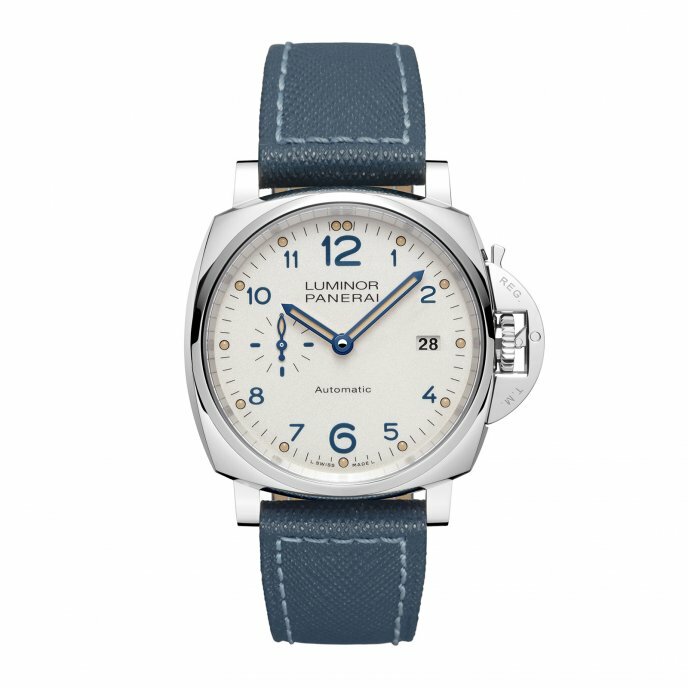 The Luminor Due 3 Days Automatic Acciaio costs 10,400 euros. 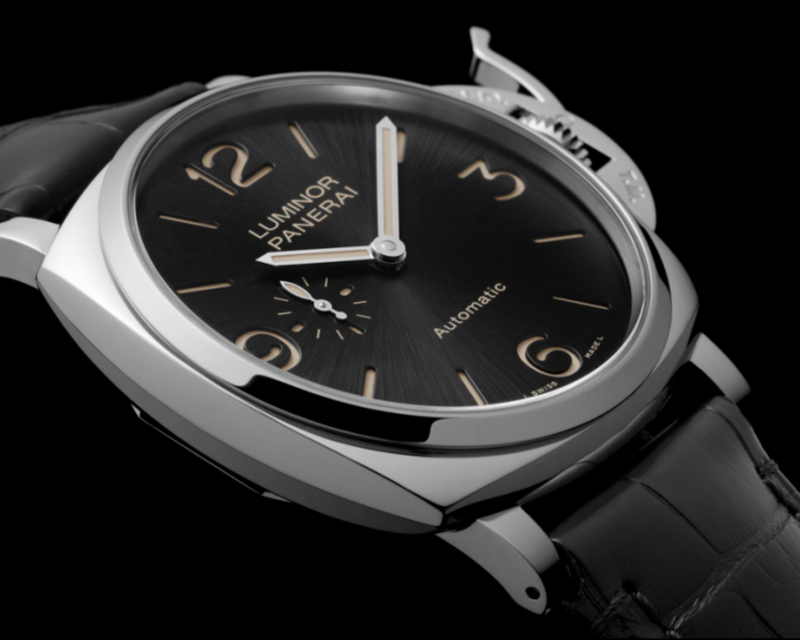 A version of Oro Rosso in rose gold with skeletal movement is available for 24,900 euros.